Tiger Depack by Cesaro Mac. Import: Designed to remove all types of packaging. Product manager Adrea Piccioni answered questions from GLOBAL RECYCLING. According to Cesaro Mac. 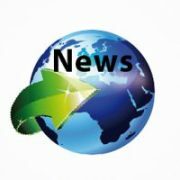 Import, 2018 will be the “year of the Tiger”, when your company announced, that it will present a new Tiger Depack product range at IFAT. Which new features do these models offer? IFAT, the leading European event dedicated to the waste industry, is bringing radical changes to Cesaro Mac. Import this year. As a matter of fact, the Tiger HS 640 has become a separate brand to the Tiger Depack with a complete product line and many other fields of use. Up until last year, Tiger was a single, highly performative piece of machinery, used mainly for depackaging and optimizing the organic waste cycle at biogas production installations. Over the last ten years the market’s needs have expanded and evolved, and Cesaro Mac. 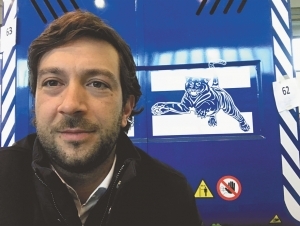 Import has decided to change its approach by creating a new brand: Tiger Depack (from “depackaging”, which is the main use of this machinery). ■ The Tiger HS 20 PPS (Paper Pulp Solution), designed over the last year and which will be showcased first at IFAT then in Italy at MIAC (International Fair dedicated to the Paper Industry): This model is a modified HS 20, designed specifically for use in paper factories. The objective for the next few years is to create more products in the Tiger Depack line, because the fields of environmental treatment are continuously evolving with needs which are becoming more and more specific and require dedicated machinery. Tiger Depack machines are designed to remove “all types of packaging from the organic fraction of waste”. In which sectors do these machines provide the biggest benefits? At present, the fields of application of Tiger Depack machinery are divided into three sectors. ■ The main sector, from which the Tiger experience stems, is depackaging. This is the need to separate packaging and its content in clearly-defined re-usable moulds, such as, for example, the packaging of expired food. In this case, the advantage for the client is to obtain two moulds which are both usable: organic and packaging – both can be inserted in recovery cycles and therefore do not produce waste. 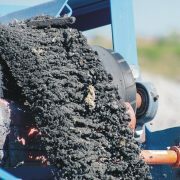 ■ The second field is the recovery of products during the disposal process. Tiger Depack is useful in organic waste treatment machinery (FORSU) which recycles a great deal of plastic (mainly plastic bags). 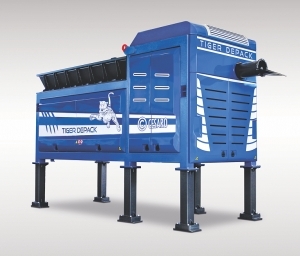 Thanks to Tiger Depack, this machinery manages to recycle a great deal of the organic waste and to clean the plastic which otherwise would be disposed of at a higher cost for the company. From the experience garnered from using the machinery, we have discovered that, from a weight of 27 percent of plastic sent for disposal using the Tiger Depack, only seven percent is actually disposed of. In addition, the organic material obtained can be reinserted in the biogas and compost production cycle. ■ The third field is production. The smallest model is used in these applications, as it is inserted in production chains which are already operational. As a matter of fact, industrial production generates waste for quality control: for example, crooked labels on packaging and sample testing on batches of products. By inserting Tiger Depack into the production process, it is possible to split the product, recuperating the processing waste and make it possible to avoid the production of waste at the source. The machine is already active at establishments that produce pet food, companies that make ice-creams or companies that manufacture detergents. 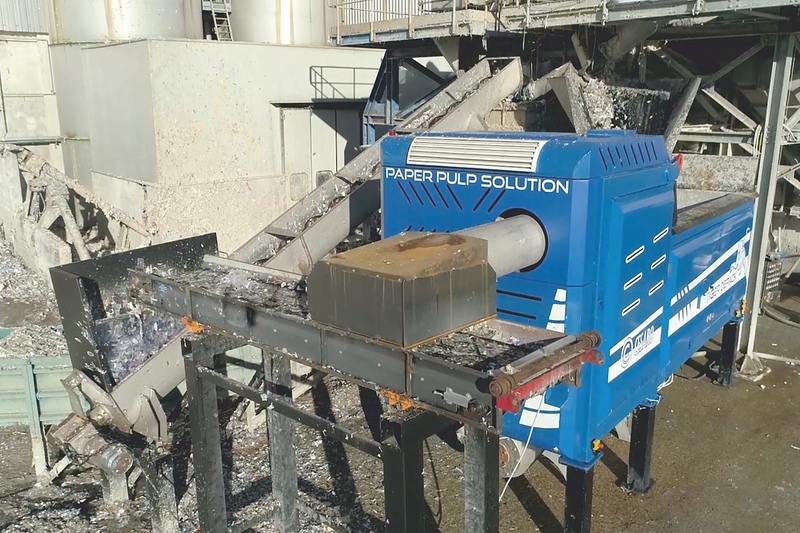 Still within the “Production” sector, we have created the Tiger Depack PPS, used to treat paper mill pulper, which is not a product but paper-processing waste. 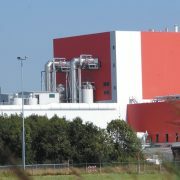 Once again in this case, the insertion of the Tiger Depack has allowed to significantly reduce the waste sent to disposal and to recover 20 percent of the paper pulp to be reinserted in the production cycle. Which kinds of waste (wet, dry) can be separated and how many tons per hour can be treated? Tiger Depack is the perfect machine for the processing of both organic waste and expired packaged foodstuffs or to simply clean the oversized screened materials. But not only that. Thanks to the same basics and without any technological change, Tiger HS640 is able to treat also non-food products, as detergents and hygiene products. Tiger Depack depackagers treat from five to 40 tph. The type of matrix and the destination process determine different hourly capacities. Tiger Depack depackagers offer a wide selection of treatment with only two setups to manage, the management software manages to regulate power and avoid downtime thanks to a logic that tends to the set parameters and the load tolerated by the machine. It is in fact possible to find unexpected changes in the material during processing, changes that may depend on the heterogeneity of the same as the presence of batches involuntarily added to the loading. The software developed in ten years of experience manages to calm the divergences obtaining a constant trend over time, a fundamental requirement for high performance processes and management. Is it possible to integrate the Tiger Depack machines into yet existing lines or systems? Tiger Depack technology is patented and stands out among the main competing technologies because it has been studied even to be inserted in production installations which have already been set up. This technology was conceived because there was no high-performance system on the market in this field capable of responding to specific needs with a single piece of machinery. Tiger Depack features technology which is capable of obtaining two outlet moulds with two high-quality flows which can both be used. Another element that makes the Tiger Depack line stand out is how compact it is: the medium model takes up only 20 square meters, that is to say 7 x 2.5 meters. This is an extremely limited amount of space which makes it possible to easily insert it in existing production lines without the need to create designated structures. Every version is all-in-one, and it is simple and intuitive to use. The electrical power supply makes it possible to use the machinery both indoors and outdoors. The machinery is user-friendly, because it has an intuitive system which operates both manually and automatically. And, thanks to the technological applications of its software, it is possible to manage the main parameters of the machinery precisely and continuously, such as loading speed and the quantity of liquids added to the process. An efficient and precise integrated system of sensors allows the Tiger systems to self-regulate, optimizing consumption and reducing motor strain. A large touch-screen panel helps to monitor both the consumption and strain of each motor in real time, but also the percentage of liquids added to the process. When the machinery is inserted in treatment machines of which the Tiger is just one step of a complicated process, the machine interacts with the external management systems with great ease. An efficient post-sales and customer service system guarantees Tiger Depack clients are followed all around the world with remote diagnostics systems and services activities designed around the type of material being treated. The Tiger Depack brand represents Cesaro Mac.’s Import experience and reliability in the field of waste and systems. The company Cesaro Mac. 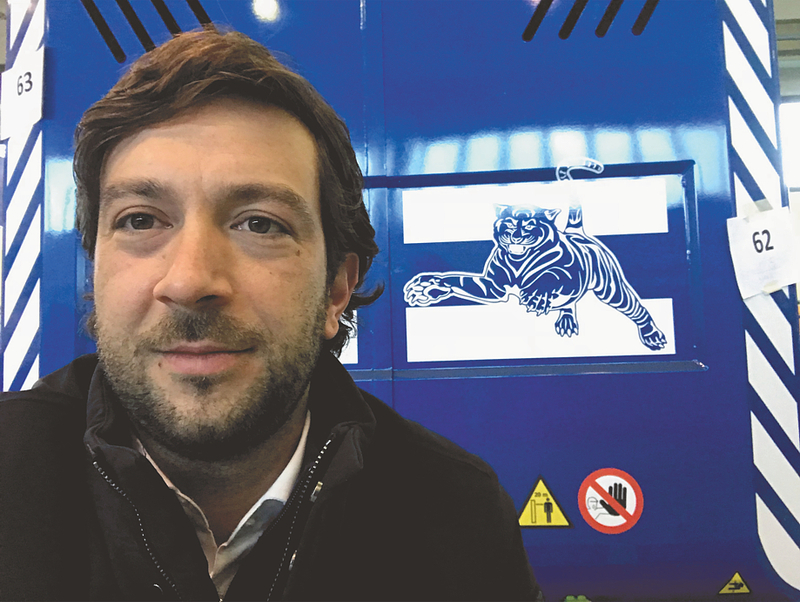 Import will present itself and the Tiger Depack product range under a new logo at IFAT. What does the symbol represent? A “swipe” towards the future of the Tiger Depack Brand. The new Tiger Depack brand is the result of a scrupulous study of the product’s characteristics and of the company. The main goal we set ourselves is to convey efficiently and immediately the key concepts of the Tiger Depack brand. A fundamental point represented by our brand, and in all its interpretations, is the concept of “strength and technology” that expresses both elements intrinsic to the products as well as characteristic features of the brand. Graphically we can consider this to be a restyling of the brand. This development became necessary as the brand matured, owing to the extension of the product lines and the international scope of the company. We started with a symbol that embodies the concept of strength, albeit in its simplicity: a tiger’s claw. 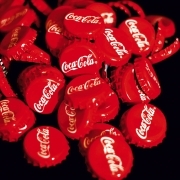 This symbol represents – in both its shape and in its meaning – a set of different elements that in their immediate meaning manage to portray the concepts that the brand wishes to convey. From this symbol we created a graphic iconic image that aims at representing several abstract concepts: The graphic element consists of four irregular signs, in parallel and of different lengths. The four signs slant from left to right. This image represents the scratch mark left by a swipe made by a tiger’s paw. The graphic element represents the effect of the “swipe” and not the swipe itself. It is a way to emphasize the importance of the result. The choice of a scratch has another meaning in the type of work that Tiger Depack machines carry out, as they rip up packaging.